Opening a swimming pool after closing it for winter should not be a problem to anyone who closed their pool the right way. In this article, we are going to cover things you need to perform when opening your swimming pool for summer to avoid more pool problems. Opening a swimming pool after winter and fall can be very messy if it was not closed properly using the necessary procedure like draining the pool lines, using the right pool winter chemicals, and applying a solid safety pool cover that prevents debris and UV light from entering the pool. Some pool owners prefer using meshed safety pool covers for reasons better known to them. One big problem with meshed pool covers is that they allow debris to collect inside the pool. 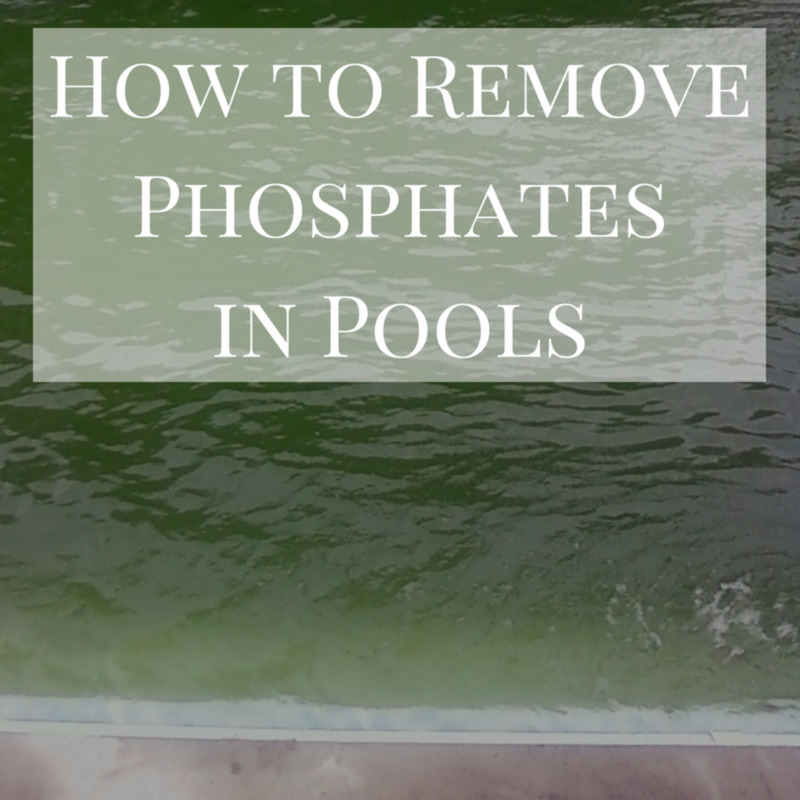 In many cases, swimming pool water may appear to be dark green or black in colour due to pool algae that is formed from too much light allowed in the pool, eating up free chlorine in the water. To avoid these issues caused by meshed safety pool covers, I use and always recommend solid pool covers that won't allow debris or the formation of swimming pool algae. Robelle Super Winter Pool Cover is my best option, since it is solid, made of the latest technologies like strong polyethylene material, and the top side is treated to inhibit damaging UV ray. 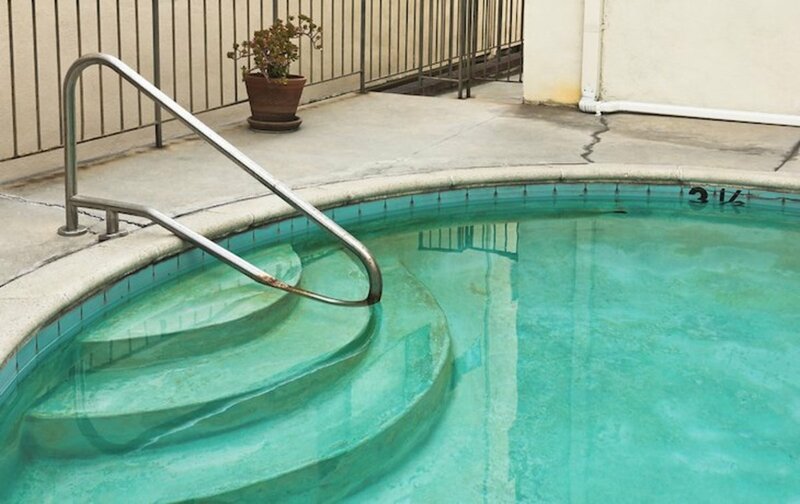 Clean the topside of the safety pool cover to remove dirt. 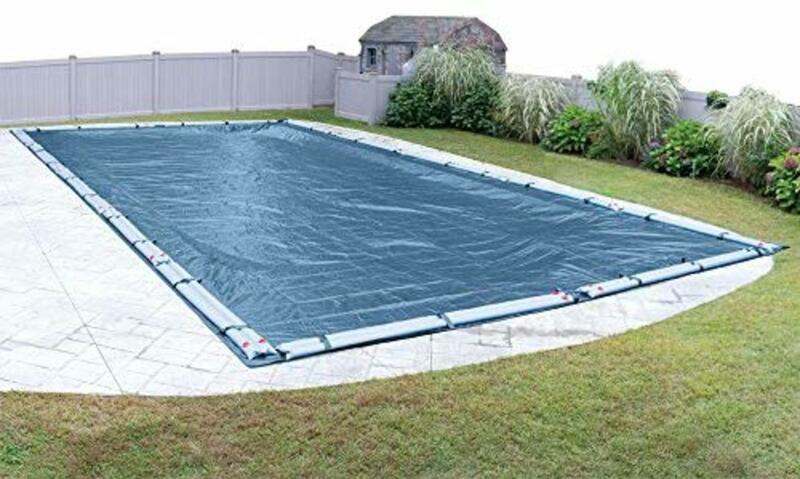 Remove the pool cover while folding it into small parts. Find someone to help you by holding one side. Remove winter plugs from the returns and ice compensator if any. Return the drain plugs into the filter. Remember to inspect the O-rings and lubricate when necessary. Fix in the filter pressure gauge into the spot, and put the side gauge back on filter. Turn the pump on, and the water should start circulating shortly. This is the most important part of opening a swimming pool. During the closure of a swimming pool, you need to make sure your chemicals are all balanced and your pool cover is used properly to avoid UV light. If all the three chemicals' readings are okay, go ahead and add chlorine shock. Your swimming pool should be clean and ready for swimming soon after shocking. The pool water may still look cloudy after shocking, however. 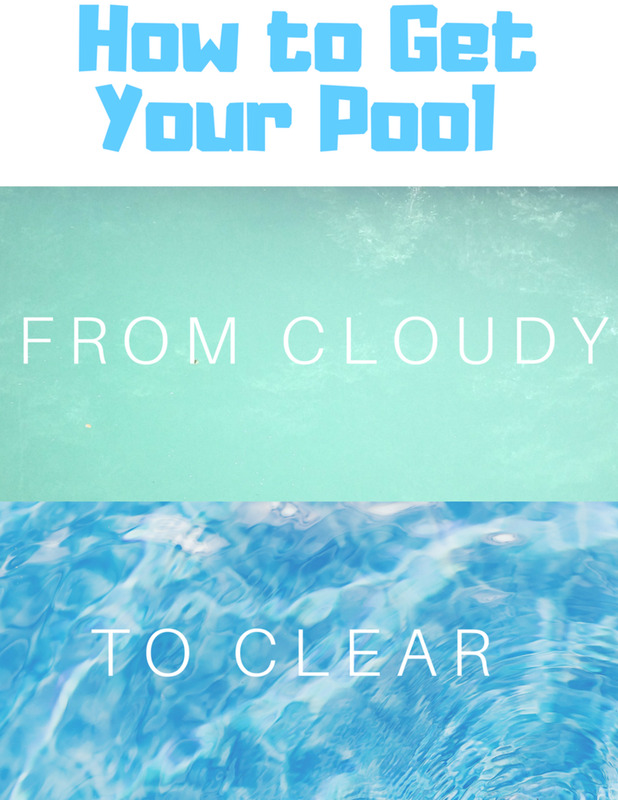 In this case, adding pool clarifier will work, and the pool water should clear up. Like I said earlier, your swimming pool water may appear dark green or black in colour when you remove your pool cover. 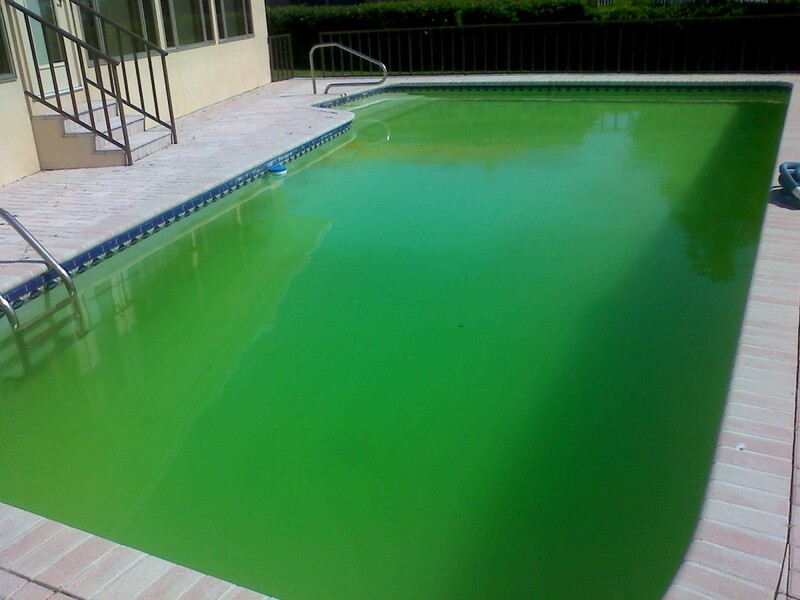 If this is the case, you definitely have pool algae, and you should prepare for extra work. This is always common when you use meshed pool covers that allow UV light inside the pool, eating up your free chlorine and leaving swimming pool vulnerable to algae. In the video above, the client used a meshed safety swimming pool cover, and as the Swimming University pool expert would expect, the pool water was dark green in colour and had a lot of dart. In this case, you need to triple-shock your swimming pool using chlorine ultra shock with calcium hypochlorite as the main active ingredient, since this is the best ingredient for fighting pool algae. Add 1 pound chlorine shock for every 10,000 gallons of pool water. As such, if your pool is 20,000 gallons, you will need 6 pounds of chlorine shock for a triple-shock effect to be able to get rid of algae. 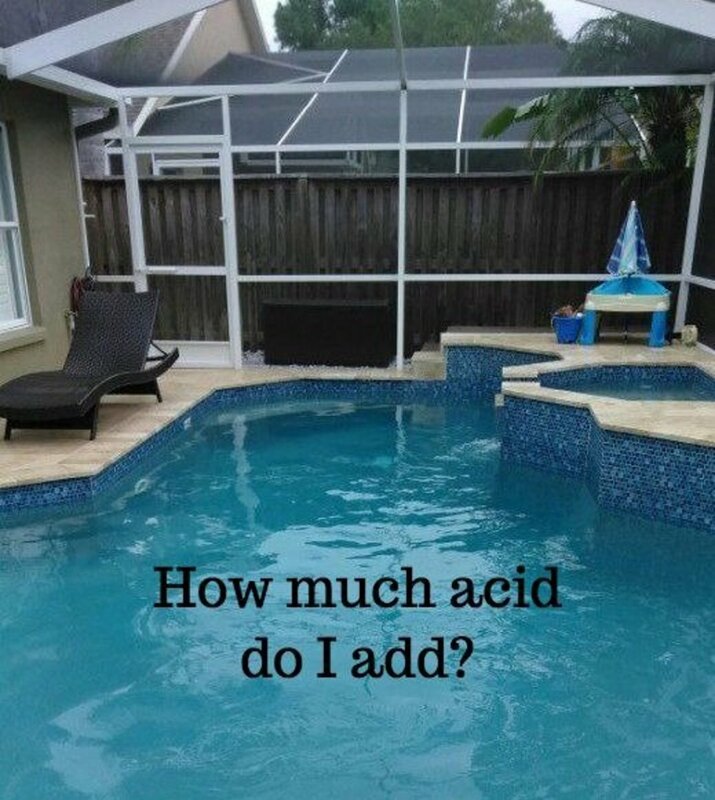 Mix 1 pound of calcium hypochlorite in a bucket of water and add it to your pool slowly all around, until all six of the 1 pound bags of chlorine shocks are over. In the Swim Chlorine Pool Shock is always my favourite when it comes to killing pool algae, because it has calcium hypochlorite as the main and active ingredient. 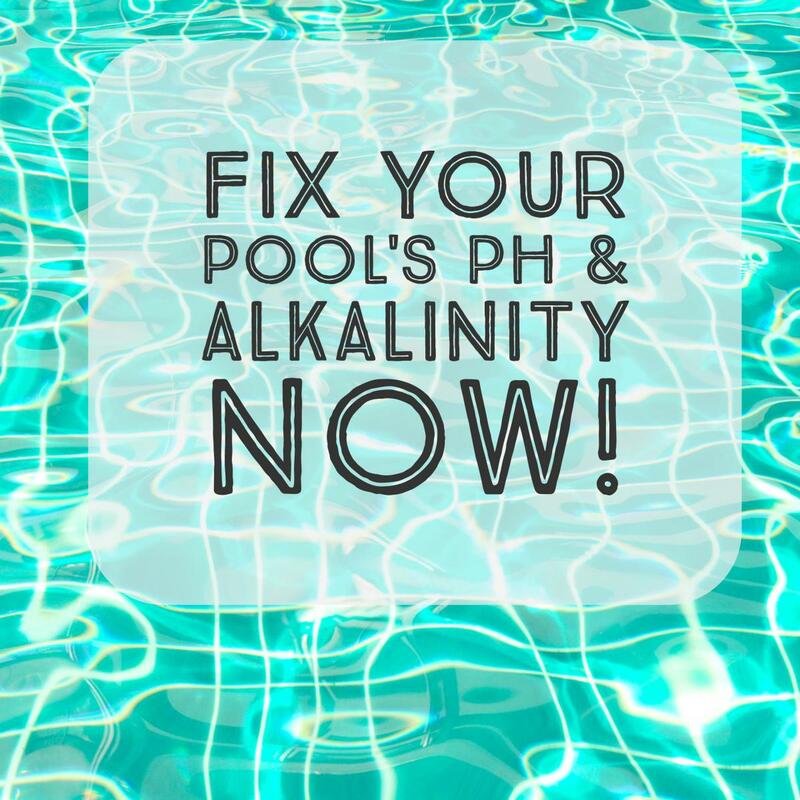 It's also the best for spring start-up, especially when you need a quick chlorine boost and fast action to kill algae and sanitize pool water to avoid more pool troubles. Liquid chlorine like sodium hydrochloride is best for weekly or regular sensitization and therefore not ideal for killing algae.